Last week I didn’t get round to posting an update on the squares and blankets you’ve been sending me. 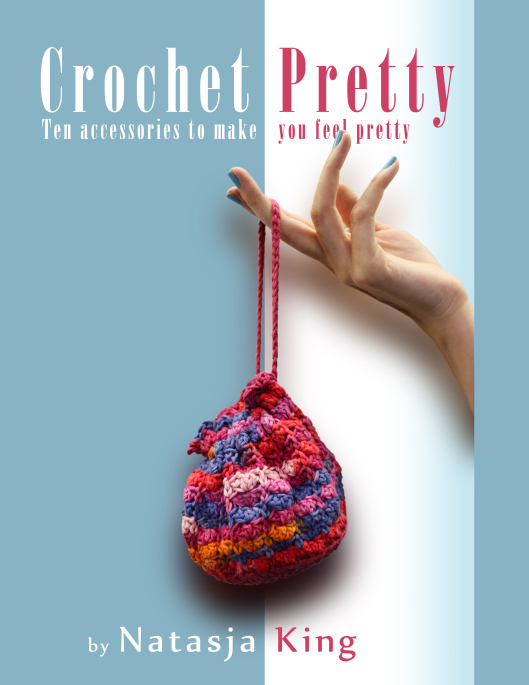 (Self-publishing a crochet book tends to take up a lot of time in the days before you hit the “publish” button!) Now that Crochet Pretty is live, I had time to photograph the four, yes four, blankets I received as well as the three blankets I joined up with your strips of squares. The lovely Cecilia used my Granny Square In Bloom pattern to make this blanket. It’s the first time ever she’s made a whole blanket. I am so honoured that she used CFK3 to challenged herself and I’m immensely proud of her. Pauline was a huge contributor to CFK2 and this time she did it again by making a whole blanket. Those psychedelic squares are great! Wendy only found out about CFK3 two months ago but managed to crochet us a whole blanket. She felt she wanted to be part of the charity project as she has two family members with kidney problems and her grandfather passed away of renal failure. Thank you Wendy for your beautiful contribution. Suzanne had a bit of a Sizing Drama with her Delicate Daisy Square blanket but pulled it out the bag in a fabulous way with the addition of a funky border and two extra strips of squares. All your strips of squares have now been made up into blankets. Yes, all of them! I was such an eager beaver I didn’t even wait to photograph the individual donations that I received for the blanket below. Between Cathy O’Keefe (CelticCathy on Ravelry), Heidi Lett and S. Jordan they had sent me nine strips and the colours went together so perfectly I just started joining them up straight away. As I said last time, I know the blankets look a bit wobbly but that’s because each strip of six squares is trying to line up perfectly with someone else’s strip of six so it’s really impossible to get it right. When the blankets are being used and lying on a bed I’m sure no-one will even notice a few bubbles – they’ll only see the lovely bright colours and interesting designs. 17 blankets for the dialysis patients of Royal London Hospital!!! Isn’t that fantastic?! I’m so grateful to each and every one that sent me squares and blankets. You guys are the best! Remember to join the Crochet For Kidneys Facebook group where you can see all the blankets and tag your blankets from the Photo Album. This week four more parcels arrived for CFK3. They contained a whole blanket and 18 strips of squares. The grand total of donations now stands at five complete blankets and 55 strips of six squares. How fantastic is that?! Although I only received four parcels in the post, our beautiful contributions come from seven crocheters! Thank you times seven! Trish sent me eight strips of solid colour squares which I showed you in this post. Now Trish went one better and joined up her colourful squares to make a whole blanket. Not only that, she embroidered sunflowers on some of the squares. I just love that!!! Thank you very much for your huge contribution Trish. Seeing as I only need to join strips of squares, and not hundreds of individual squares like in previous CFK, making up the blankets are going so much quicker. Yeah! I’m flying through these blankets! It’s going to fast that I can show you two completed blankets! If you think the blankets look a bit wobbly it’s because the tension between the two rows I have to join up, is always different. I can confirm that No Two People Crochet With The Same Tension! And of course everyone used different patterns, with a different amount of stitches in the last row, which makes it more difficult to get a flat joining seam. Despite the little wobbles, I still think the blankets look great! As I’m typing here all the blankets I’ve received so far, including the two that I put together, are drying in the Autumn sun after having been washed with non-biological washing powder. No offence to anyone who contributed squares, but I have to wash the blankets seeing as they are going to be used by people with weak immune systems so have to make sure they are 100% clean. Thank you once again everyone for all your contributions. I’m going to start joining up the third blanket now. Check in again next week for another update. It’s time for a long overdue update on the Crochet For Kidneys Part 3 contributions. Since blogging about your generous contributions last time, I’ve received two further complete blankets and 22 strips of six squares! Jan Appleton, the blogger behind Lunch Lady Jan’s Fabric Frenzy sent me this “riotous rainbow” blanket. She said CFK3 was a great stash busting project. You have one crazy beautiful stash Jan! I love the design of your blanket and I’m sure it will definitely cheer up a dialysis patient! The next beautiful blanket is from Tamy. She used an interesting, colourful mix of square and colours for her sample square blanket, including my Delicate Daisy Square and the Smiling Kidney Square from CFK1. The colours of this blanket make it perfect for a man or a woman. I would proudly have this blanket in my home, so I know it will be well loved by the recipient. 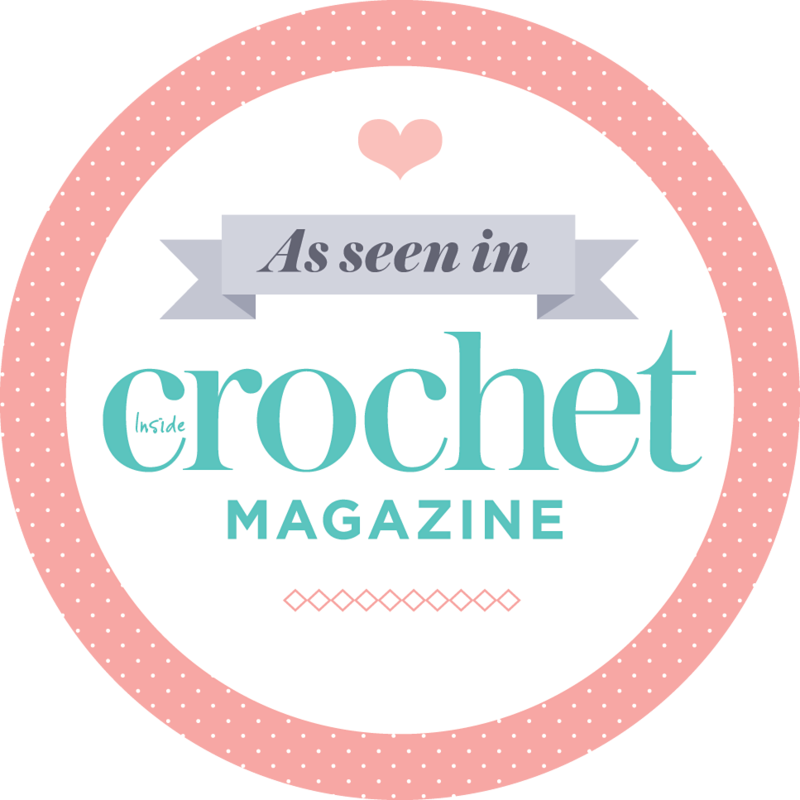 The strips of six squares were made by lovely crochets in the USA, UK, Portugal, Australia and Ireland! Thank you so much ladies for your hard work and fantastic contributions from all four corners of the world. Soo sent me 10 strips of colourful squares. That’s a whole blanket plus one strip! I’ll be able to use Soostrips for every blanket that I’m crocheting together. Great job Soo! Tanya tells me she also contributed yellow bunting triangles which was sent to York for the Tour de France. This lady loves to share her crochet far and wide. Linda’s contribution is in memory of her father who could not face any more dialysis and passed away eight years ago. Thank you so much Linda. Your beautiful squares are going to be part of a blanket which will bring comfort to a dialysis patient. Your father is sure to be very proud of you. I will soon start to join up the 37 strips into blankets. My favourite part is arranging everyone’s squares into new blankets. I know I can try to make one blanket with as few as possible different crocheter’s contributions so that it would match, but I don’t want to. I love that a blanket can be made up of up to nine different crocheter’s work. That’s the good vibes and well wishes of nine people coming together into one blanket to be given to one person. Nine strangers working together to make one lovely blanket. How amazing is that? If anyone else wants to send squares please don’t wait too long. I need enough time to join up all the squares before handing it over to the dialysis unit of Royal London Hospital on 25 November, so 1 November (give or take a few days) is the deadline for getting squares to me. Crochet For Kidneys Part 3 is in full swing people! So far I have received two complete blankets and 15 strips of six squares! The crochet contributions you see below come from France, England and Germany and each one is absolutely perfect and beautiful. I was especially blown away by the two completed blankets. So much hard work and love have gone into each square. Both Tamika and Emma & Sandra used a cheery array of squares in happy colours. Thank you so, so, so much ladies – your work is beautiful and I really appreciate the time and cost that went into making these blankets and getting them to me. We even have a knitted strip of squares. I didn’t even realise it was knitted until I read Carina‘s note! Carina’s mom, Angelika, isn’t a crocheter but wanted to join in CFK3 because her husband, Carina’s dad, is very ill with several illness and being 80 years old there is no hope for a new kidney for him. Knowing all about kidney failure first hand, Angelika really wanted to help in our charity project. I’m so glad she did! I love her knitted squares! If anyone else wants to knit up squares, follow her example – the strip of six squares are perfect! Thank you each and every one who sent me a colourful, cheery, strip of squares. I can’t wait for the 1 November deadline so that I can start putting together everyone’s contributions into blankets! We can’t have a new Crochet For Kidneys, without a new pattern can we? Part 1 had the Kidney Granny Square, Part 2 had Hexagon In Bloom and now Part 3 has the Delicate Daisy Square. You will need double knit or light worsted acrylic yarn in four shades and a 4 mm crochet hook. Make an adjustable ring (also known as a magic ring). Ch 1, 16 SC in ring, slip stitch to first chain. Round 1: Chain 11, slip stitch into same sc, *slip stitch into next SC, chain 11, slip stitch into same SC* repeat 14 more times (16 chain loops). Fasten off yarn. Round 2: Join new colour in chain space of any loop. Ch 1, *SC in chain space, ch 3*. Repeat from * to * 15 more times. Join with a slip stitch to first chain. Round 3. Chain 3 (count as DC), *3 DC in 3 chain space, DC in SC. Repeat from * to end. 64 DC. Join with a slip stitch to top of turning chain. Round 4: Chain 2 (count as HDC), 2 HDC, 5 SC, 3 HDC, *[1 TR, 2 DC, 3 chain, 2 DC, 1 TR] in same stitch. Corner made. Skip 2 DC, 3 HDC, 5 SC, 3 HDC, skip 2 DC*. Repeat from * to * three more times. Join with a slip stitch to 3rd chain of turning chain. Fasten off. You can use this method to turn any circle of 64 stitches, into a square shape. Round 5: Join new colour to any corner space. Ch 1, *3 SC in corner space, 6 SC, Long SC, SC, Long SC, SC, Long SC, 6 SC. * Repeat from * to * 3 more times. Join with slip stitch to first chain. Fasten off. (Long SC is worked into the DC of round 3). Round 6: Join new colour to 2nd SC of the three SC worked in corner space. [Chain 3 (count as DC), 2 DC, 3 chain, 3 DC]. Corner made. *DC in each SC and Long SC along to first SC of the three SC worked in the corner space (19 DC). [3 DC, 3 chain, 3 DC] in corner space. * Repeat from * to * two more times. Fasten off and weave away tail ends. Round 7: [Chain 3 (count as DC), 2 DC, 3 chain, 3 DC]. Corner made. *DC in each DC of Round 6, [3 DC, 3 chain, 3 DC] in corner space. * Repeat from * to * two more times. Fasten off and weave away tail ends. I hope you enjoy making this daisy flower square and that you won’t just use it for the Crochet For Kidneys blankets. These squares will make lovely cushions too! With three colours (plus the white border) the pretty colour combinations are endless! The pattern is also listed on Ravelry here.